Your Orbit Plumber Somerville is well experienced across a range of requirements, and certainly have the most cost-effective and efficient solution for whatever problem you may be facing. If you have a leaking hot water system, or it isn't working at all, I can help, especially in emergency situations. I can replace or repair individual parts or the whole system if necessary; you can ensure my honest approach will find the most cost-efficient solution for you, and quickly as no one likes cold showers! If the sound of drips is keeping you up at night, or there is more water around your dishwasher than inside of it, give me a call. I'm the plumber Mornington needs to keep it from flooding! I can solve these issues quickly, so no bathing suits will be required in the kitchen. There are fewer uncomfortable situations than a toilet that won't flush. If the taps in your bathroom are releasing water when they are off, let me know. I can handle any situation, no matter the size or mess involved, so don't be embarrassed, give me a call. Ever stood by a pump that isn't pumping and thought, "you had one job pump!" Orbit can ensure that pumps of any kind do their job, and do it for a long time. The quality work I offer for Frankston plumbing needs means you will get a longer lifespan out of your pumps. Pipe issues are often hard to diagnose as they are out of view, they can also be disastrous. I’m a pipe expert and the one to call in an emergency situation. I can fix burst pipes quickly to minimise damage and diagnose and clear whatever blockages may be causing you big issues without delay. Your family's safety is no doubt of utmost importance to you so ensuring that your gas fittings are secure, or that gas leaks are fixed immediately is paramount. 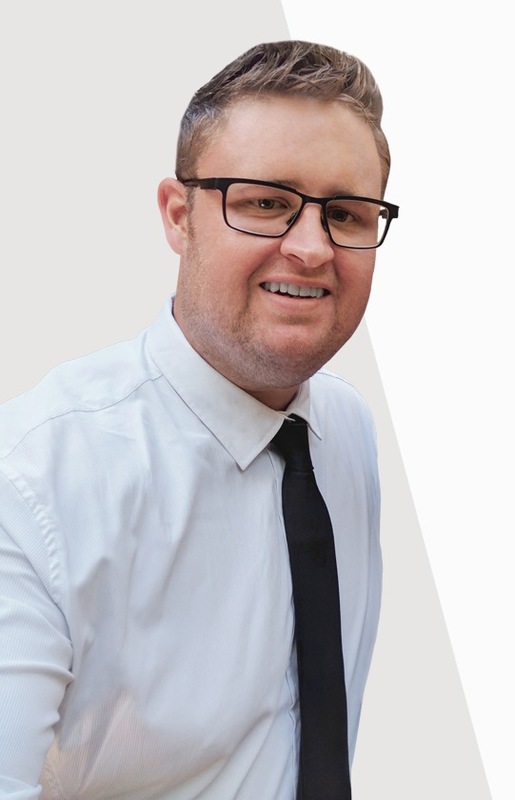 As the Mornington Peninsula gas plumber expert, my high-quality work will ensure that you can rest easy knowing any gas fueled implements of your home are entirely secure. Winters on the Mornington Peninsula are cold enough without having to worry about not having heating as well. On top of that, being aware of any carbon monoxide problems that may arise from your system is crucial to the safety of your family. Neither of these things are problems you want to deal with which is why Orbit exists. I handle this stuff for you, so you don't have to worry or be uncomfortable, ever. Call me; I can help! Just 1 man in a van. I will be the person arriving to do your plumbing work myself. So you can rest assured you are in good hands. No one likes plumbing issues, why can't things just work, right? Unfortunately, that's not the way it goes, but reducing this stress is possible by using skilled plumbers who perform quality work. That is the best way to describe myself and my business, Orbit Plumbing. Experienced, knowledgeable, and nothing short of the highest quality plumber Frankston and the Mornington Peninsula has to offer. 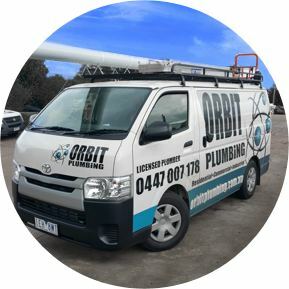 My name is Daniel McMahon and I started Orbit Plumbing in September of 2014 as a Frankston plumber looking to build a reputable business that offered fantastic service. Along with the help of my wife Abby, we have made Orbit into one of the most reliable and efficient maintenance and repair options for plumbing based from Somerville. Within a year of inception our family run business had significantly expanded, growing the customer base and adding installation services all over the Mornington Peninsula. Along the way, the main constant has been the customers and the plumbing service offered to them. I respect my clients and the work I provide them; I am reliable, friendly, honest and above all, ready to solve any issue that is giving you a headache. My experience is vast, and you will struggle to find a plumbing situation I haven't already encountered. Orbit Plumbing, the best Mornington Peninsula plumbers on offer, call me now and find out why. There is a reason why Orbit Plumbing has grown so rapidly in such a short amount of time. The high-quality, friendly service and plumbing I provide Frankston and the Peninsula. However, everyone says that, right? I value my customers more than anything else; I want to help them when they need me and have them know I am someone they can trust. I care that my work solves your problems, for a long time, and as a result, I have built some significant relationships that I class as my most outstanding achievements as a business. To explain this, the following are testimonials from people I have helped over the years. Their opinion of me and the work I provide are all that matters. And, I am quite proud of the excellent feedback I’ve received, so have a read, and hopefully, I can add you to my list of stellar achievements. 5 Stars - We would highly recommend Orbit Plumbing. Daniel has done work for us on a few occasions, he always does an excellent job and is very reasonably priced. Daniel always conducts himself in a professional manner, is reliable, competent and always very helpful when giving advice. When in need of a plumber call Orbit Plumbing, Daniel's the best! 5 Stars - Thanks for the service today. I have to say that I found the whole experience very impressive and very professional. 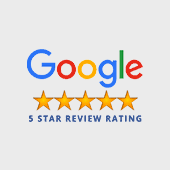 5 Stars - Thank you Daniel for a great job, not only for fixing our bathroom pipes but for also being very prompt, courteous, friendly and the best part was you took off your boots before coming into the house each time and being a local. Daniel you are permanently fixed in my address book. All the best. 5 Stars - Today I phoned Orbit Plumbing and spoke with Daniel about my blocked toilet. He said he was speaking with someone and would phone me back. In my previous experience when phoning other plumbers none of them have returned my call! Daniel did phone back within 15 minutes and he said he would be in my area today and would call in and see to my blocked toilet. Daniel kept in touch by phone letting me know when he would arrive. He was friendly, courteous, professional and fixed my toilet with a minimum of fuss. I've been waiting over 8 weeks for various plumbers to phone me back, luckily I have two other toilets in the house!! Thank you Daniel for your promptness and for fixing my toilet. I would recommend Daniel to anyone who wants prompt, efficient service. 5 Stars - Graham and I would like to say that we are very happy with all the work you did for us yesterday. Nothing was too much trouble and you were happy to answer any queries or concerns that we had. Although you had to change our appointment time, you kept us posted on when you would be here, by letting us know not only the time of your arrival, but phoning us half an hour in advance to let us know you were on your way. This is the second time we have asked you to help us with the plumbing problems we have had and wouldn't hesitate to ask you to sort out any other problems that might occur in the future. 5 Stars - Orbit Plumbing attended to the problem promptly and effectively. The cost was reasonable and Daniel did not attempt to push me into a more expensive solution. I am entirely happy with Orbit Plumbing’s service and I have no hesitation recommending them. As a bonus, Daniel is a decent and down to earth man. I’ll be happy to engage him for any future work. 5 Stars - This is the second time I've used Orbit Plumbing. Broken/leaking water mains, rang Monday morning, went to work, was fixed when I got home. Very happy. I'll ring Orbit Plumbing again next time I need a plumber. 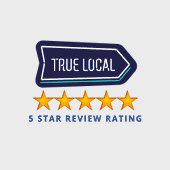 5 Stars - My name is Doug and I live in Mt Martha I had a plumbing problem late on a Friday afternoon, I called Daniel at Orbit Plumbing who gave great assistance over the phone he then immediately dispatched his assistant who arrived within the hour and had the problem fixed quickly and efficiently. The pricing was as discussed prior so no surprises. Great service and would recommend his services to any future clients. 5 Stars - Flicking frantically through the Trade section of the local paper, I found a genuine looking ad where Daniel prized himself as being the friendly local emergency plumber and sure enough! Late on the Saturday afternoon of the recent Queen's birthday weekend, Daniel came to my rescue to fix my blocked toilet. He did so with great professionalism and skill he has learnt from being over 10 year in this business. Under not such straight forward conditions, I had a free flowing toilet within the set 30 minutes. His use of all the latest mod con gadgets impressed me greatly and I immediately knew I was in the right hands. I can truly recommend Orbit Plumbing to anyone who needs some speedy and cost effective plumbing action, some helpful advice and a fair and friendly demeanour to go with it. 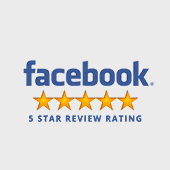 5 Stars - "I rang Daniel at Orbit Plumbing for advice about a 'damp' problem at our house. Daniel was able to explain clearly what the range of possible causes might be and and the rates for an on site inspection and written report. Orbit's response was prompt and the detailed written report was clear and the fee was under Daniel's original quote. We found Orbit Plumbing presented a most professional and courteous service with very reasonable rates. We would have no hesitation in recommending Orbit Plumbing to others on the Peninsula." And should or when we need plumbing services in the future we will happily contact you. 5 Stars - Good to know that I can rely on a smart operator to manage my investment property. Fast. No nonsense. Well equipped and well documented report. 5 Stars - Thanks once again Daniel. Very prompt, efficient and friendly service. You are definitely our 'go to' plumber. 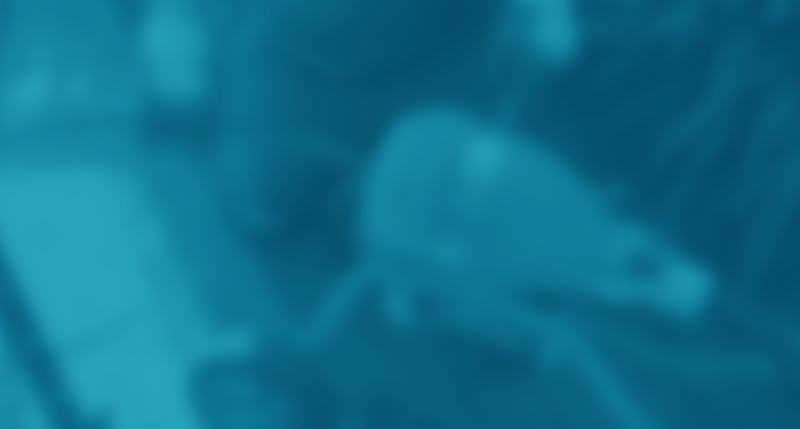 5 Stars - Daniel from Orbit Plumbing is very reliable and keen to please. Excellent job fixing leak in shower and installing a new washing machine. Great contact for a plumber at a reasonable price. From a satisfied customer in Mornington. 5 Stars - I had an occasion late last year to need the services of a plumber. I saw Orbit Plumbing in the Leader local paper and phoned them. Unlike other plumbers that I have phoned, Daniel came on the time. He advised he would come, provided an estimate for the replacement of 3 down pipes and proceeded to complete the repair once I accepted his estimate. When the material became available and his schedule allowed Daniel completed the repair and replacement in a most efficient and workman like manner. I have no hesitation in recommending this organisation. I am extremely satisfied with their workmanship and will employ their services if and when the need arises. 5 Stars - Orbit Plumbing are the best, fixed our gas heater in a flash and now we are warm and toasty again, thanks Daniel. Recommended 5 stars. 5 Stars - We have had to call Orbit Plumbing out on two occasions, once to install a new toilet and then to change over a hot water system. Prompt, professional and reasonably priced. I highly recommend Orbit Plumbing for any plumbing works. Thanks Daniel for your reliable and friendly service. 5 Stars - To Daniel & Brad from Orbit Plumbing Thank you for your Patience & Courtesy. You are a good bunch and did a great job! 5 Stars - Hi Daniel, Many thanks for your excellent work. Thank you for everything. I phoned in the morning and received the call out that afternoon. Excellent thorough work, with after service guarantee. Price was right. Very happy to recommend. Thank you. Best wishes to you. Blessings. 5 Stars - G'day Daniel. Thank you for your quick response and for the work you did unblocking my pipes. I'll call you again when I need a plumber and recommend you. 5 Stars - Hi Daniel, Just a quick note of thanks for your recent work at my home. Orbit plumbing provided me with reliable, prompt and friendly service. I was particularly impressed by Daniel’s professional and polite approach and his attention to detail, ensuring the area was left clean and in the condition he found it. I will be thoroughly recommending Orbit Plumbing to my friends and family. 5 Stars - Dear Daniel and Abby, Thank you so much for the swift and professional service I received from your company. Daniel went to great lengths to ensure my very pregnant daughter and young grandson had hot water on a cold Melbourne night. I live in Cairns and own a home in Somerville that my children live in. Late on a Sunday night they rang me to say the hot water system had died. Just after 9.00am the next morning I rang Daniel who thankfully said he could have it replaced that day. He gave me an estimate and we did what we needed to do to get the ball rolling. Daniel finished installing the system around 7.00pm that night in the dark and cold with it drizzling with rain, what a man. Wow, what a wonderful experience. Thanks again Daniel and Abby. 5 Stars - Daniel of Orbit Plumbing was great. He attended a burst pipe leak on the same day as I called and fixed up at a very reasonable rate. Highly recommend his service!! 5 Stars - Thanks to the guys at Orbit Plumbing for their awesome job at our place. When we first moved into our house there was some issues with the drainage which at first sight didn't seem too serious. Once Daniel had seen the issue and realized it was a lot bigger than first thought, he fitted our job in between others to make sure it was done as quick as possible. The quality and efficiency of the work couldn't be questioned, and we would recommend Orbit Plumbing to anyone needing work done. 5 Stars - Amanda here from Mornington Peninsula Rye, just would like to thank you for an awesome job you have done. Thanks for being reliable, and helpful, if it wasn't for you we would of had a leaking toilet! You did a great job installing a new toilet in, feels nice to flush the toilet without it leaking everywhere! Thanks for also being patient with our front tap outside that wasn't working at all! Definitely will be recommending your services to those around me & I’ll be calling you again if I need something fixed. 5 Stars - Just a short note to thank you for the gas plumbing job you recently undertook to commission my Spa gas heater. It was not an easy installation but was carried out with great professionalism and a friendly manner that really made me feel I was in good hands. Throughout the process the communication was first class, this was refreshing and sadly lacking these days. Even your apprentice impressed me as a really polite young man who really appreciated the fact that he was being well trained by a boss he admired as a great mentor. I would have no hesitation in recommending Orbit Plumbing to any prospective customer and they are now in my speed dial should I need his services in the future. 5 Stars - Daniel recently assisted us with replacing a stand-alone oven & cook top with built in appliances. This meant coordinating with other tradespeople to get the job done, so it was great that Daniel came on time and was able to do the work efficiently. The end price matched the original quotation, which included two visits to our property. I want you to understand that Orbit Plumbing is here for you whenever you need. I of all people know that plumbing issues don't work to a schedule and that when they arise, they often need to be handled quickly. This is why I am the most accessible, and friendly, plumber Mornington Peninsula has to offer. You can feel comfortable contacting me with whatever issue you have, size and complication are irrelevant as I am here to solve your problems, no matter what they may be. So get in touch, I am the go to Somerville Plumber for repair, replacement, and maintenance (yes, problem prevention is an excellent idea, trust me). I am ready to help you out, so let's start finding the best way to do that!